The table below represents the three levels at which conflicts can and must be confronted and managed. All have implications for different types and assumptions about communication. This classification table permits conceptual clarity including characteristics of successful outcomes. It is an adaptation of a Table by Ropers (2004). The first macrolevel political approach seeks to stabilize the political order in an environment of violent conflict. The solutions within this framework are thought to be a balance of interests between competing groups. Communication occurs at the level of advisors, leaders, and diplomats. Bargaining, negotiation, and diplomatic processes are typical types of communication when working with problems on the level of political order. Negotiation is a second order discourse that has goals and procedures of its own. The goals are to maximize interests and construct a particular understanding of problems and potentialities. Parties to conflicts experience negotiation phases where individuals pursue their own preferences. 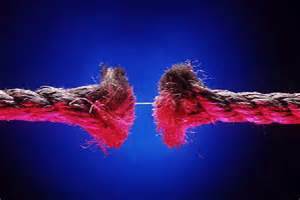 Arguments are important in negotiations but they are tethered to power situations. One party can threaten another if they hold such a power position. A key concern about negotiation communication is that change is possible but usually leaves interests in attitudes intact. An Israeli or Palestinian might negotiate away property or sacred land and although certain negotiation goals would have been met, neither side would be satisfied. A decision might have been based on common understandings of the current situation, but those understandings would not have been subjected to critical reflection. Dialogic communication can have positive effects if the media projects it into the negotiation atmosphere. Citizen participation is typically rejected by official politics but positive influences by grassroots organizations is still possible by working toward socialization of future leaders in the creation of networks of communication with influences that find their way into the political process. Kelman groups are a good example of contact communicatively-based experiences designed to serve the policy process to produce changes in individuals and policy. The difference between official diplomatic and power approaches to conflict and more “unofficial” interactions is more than simply an opinion about differing legitimacy; rather, to many conflict theorists interaction-based approaches represent a fundamentally different understanding of the conflict. Intractable conflicts are sign of failure to satisfy basic needs with respect to identity, recognition, and participation. The conflict management level deals with conflicts over issues of substance but also with the relationships between the various parties. The goal of communication is not necessarily to win arguments and maximize outcomes as much as it is problem-solving and forming new coordinative communication relationships. The parties begin with a joint recognition of shared problems and work to resolve these problems together. Dialogic forms of communication are important for conflict resolution because they clarify perceptions and help to improve communication. If more citizen level communication can be initiated and sustained over a period of time the chances are higher that the process will create a group of people that have close links and are able to influence political institutions. The problem is always a matter of how to take grassroots communication patterns and move them into the realm of practical consequences for political efficacy. Civil society institutions are important for conflict management because they serve as a legitimate outlet for problem resolution. Work by Varsheny, mediating tensions between Hindus and Muslims in India, demonstrates the importance of civil society and of rationalizing contact between groups. This results in improved relations and respect for group identity. The conflict transformation approach is devoted to settling differences and conflict resolution, but particularly expresses the importance of structural change as well as fundamental changes resulting in peace. Intractable conflicts and highly divided societies – those traumatized by violence and the ethos of conflict – require conflict approaches designed to moderate inequalities and develop political capacities for deep change. The type of communication most associated with dialogue and deliberation is characteristic of this level of conflict including power-sharing and intercultural sensitivities designed to respect differences and identity groups. Intergroup contact is used to create change by strengthening disadvantaged groups and establishing a dispute settlement political culture. A transformational approach to conflict is necessary for identity-based conflicts. The mirror victimization identities described above between Israelis and Palestinians sense of victimization makes satisfying solutions elusive. Macro level and conflict management approaches to resolution are based on tangible interests and resources. But identity-based conflicts involve existential needs and values. The underlying issue in the conflict is not a disagreement over tangible resources such as food or land but the denial of identity, including respect and recognition, or the experience of humiliation. Such conflicts are about intangible communication and psychological issues rather than scarce resources. 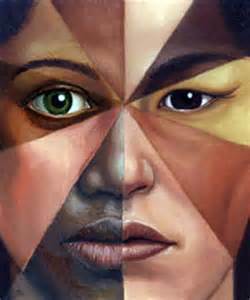 On the one hand, the identity issues are more symbolic and thus more difficult to manage. But on the other hand, the establishment of different relationship patterns through a dialogic process along with practical interdependent activities will force identity adjustments to coalesce. Posted on May 27, 2015, in Communication and Conflict Resolution and tagged Conflict Resolution. Bookmark the permalink. Comments Off on The Three Levels of Managing Conflict.